While I have attempted to make this discography complete for the above scope, there are some Van Gelder recordings that have not (yet) been included. In some cases, while there is evidence suggesting that an album was recorded by Van Gelder, that evidence has not been deemed strong enough for that album to be included here. 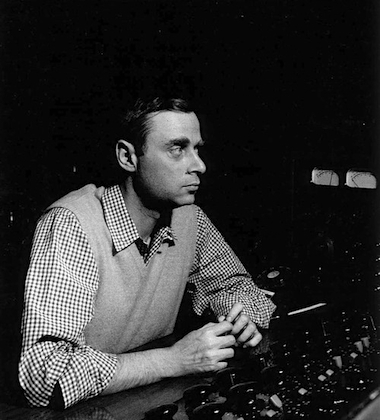 (An example is an album where the back of the LP jacket says “Engineer: Rudy Van Gelder” but The Jazz Discography Project does not list the recording location as Van Gelder Studio. These albums have been excluded here because some of them are believed to only have been mastered by Van Gelder.) On a rare occasion, it is known that at least part of an album was recorded by Van Gelder, but the dates and/or locations of the Van Gelder sessions could not be determined, so these albums have been excluded due to incomplete information. If you have reason to believe that a classic jazz album not listed here was recorded by Rudy Van Gelder, please let me know. Note that this discography only covers albums recorded by Rudy Van Gelder, and that there are many albums mastered by Van Gelder that are not included here because he did not record them. Originally Unissued Recordings: Because of this discography’s collector focus, recordings that were not originally released between 1953 and 1965 have been omitted. For example, although Tina Brooks’ Back to the Tracks was recorded in 1960, the sessions for this album have not been included here because the album wasn’t released until 1998. Further Reading: For more information regarding track listings, personnel, reissues, and originally unreleased material, please visit The Jazz Discography Project. My hope is that fans of the legendary “Van Gelder Sound” will find this database insightful and useful. If you have any questions, comments, or corrections, please don’t hesitate to email me. 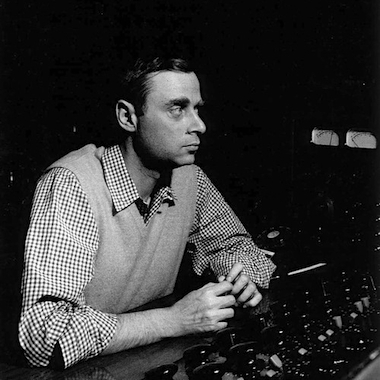 Feel free to sort the columns and filter the database by searching, and have fun exploring the world of classic jazz recordings that Rudy Van Gelder is responsible for! 1957-02-08 Hackensack Prestige PRLP 7087 LP Jackie McLean Jackie McLean and Co.
1957-03-22 Hackensack Prestige PRLP 7229 LP Red Garland with John Coltrane Dig It! 1957-09-05 Hackensack Savoy MG 12209 LP Curtis Fuller & Tommy Flanagan Jazz...It's Magic! 1957-12-13 Hackensack Prestige PRLP 7229 LP Red Garland with John Coltrane Dig It! 1958-02-07 Hackensack Prestige PRLP 7229 LP Red Garland with John Coltrane Dig It! 1960-02-15 Englewood Cliffs Blue Note BLP 4027 LP Freddie Redd Music from "The Connection"
1960-10-03 Englewood Cliffs Impulse A-01 LP J.J. Johnson & Kai Winding The Great Kai and J.J.
1960-11-02 Englewood Cliffs Impulse A-01 LP J.J. Johnson & Kai Winding The Great Kai and J.J.
1960-11-04 Englewood Cliffs Impulse A-01 LP J.J. Johnson & Kai Winding The Great Kai and J.J.
1960-11-08 Englewood Cliffs Impulse A-01 LP J.J. Johnson & Kai Winding The Great Kai and J.J.
1961-06-13 Englewood Cliffs Impulse A-07 LP Art Blakey Art Blakey! Jazz Messengers! 1961-06-14 Englewood Cliffs Impulse A-07 LP Art Blakey Art Blakey! Jazz Messengers! 1964-06-25 Englewood Cliffs Blue Note BLP 4203 LP Andrew Hill Andrew!!! 1965-02-23 Englewood Cliffs Impulse A-88 LP Elvin Jones Dear John C.
1965-02-25 Englewood Cliffs Impulse A-88 LP Elvin Jones Dear John C.